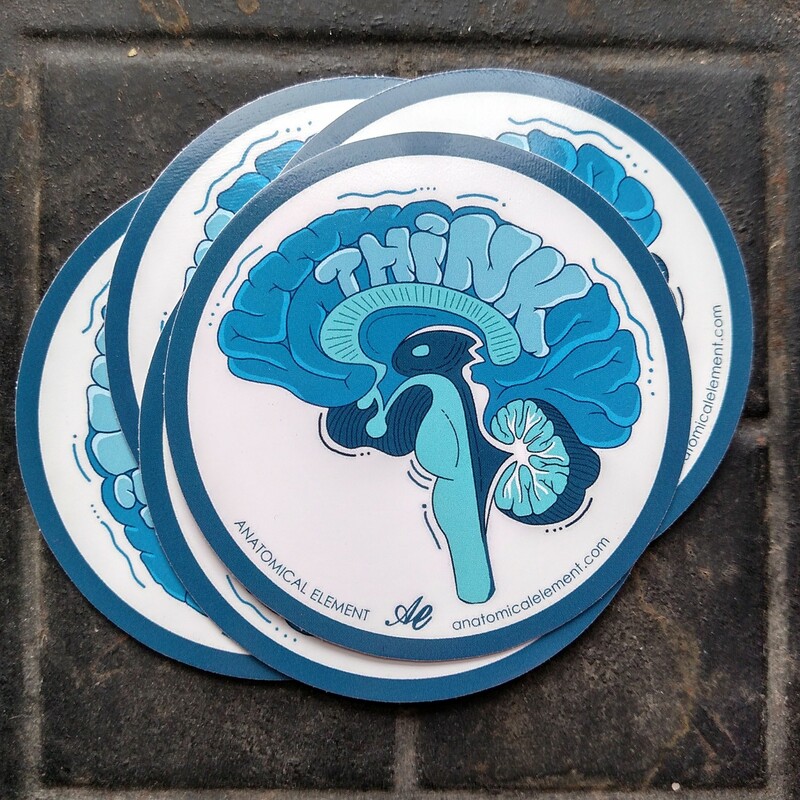 This anatomical brain sticker was hand designed by a medical illustrator. Show off your love for anatomy and put this sticker on anything! Perfect for your laptop, toolbox, phone, etc! Artist: Anatomical Element. Printed locally in the Midwest. 3 inches x 3 inches. Durable, waterproof and printed on UV coated vinyl.